This is a unique experience to say the least. 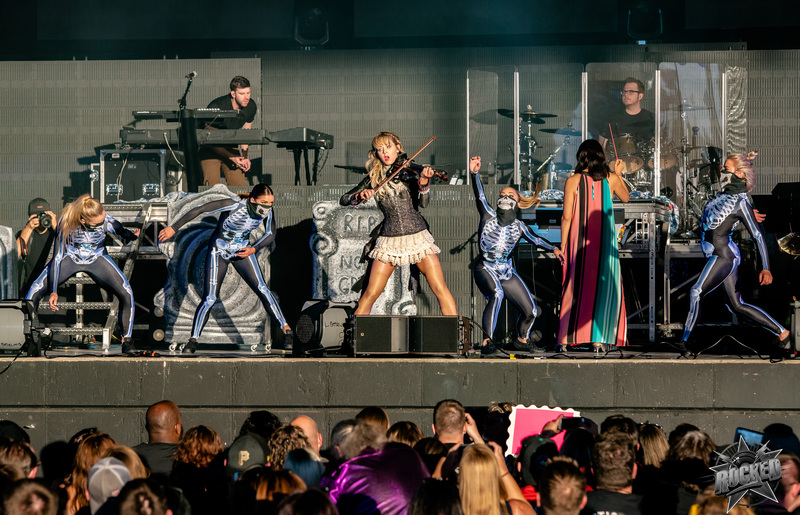 When the announcement was first made and accompanying YouTube videos from Lindsey Stirling were posted, a lot of potential for creativity came flooding to everyone’s minds. 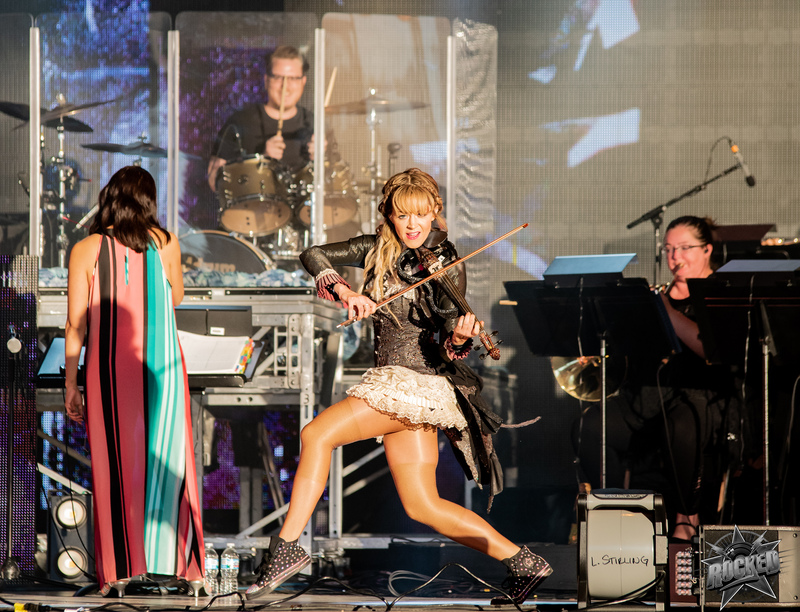 When Lindsey took to the stage it wasn’t long before the floor was filled with dancers surrounding her and orchestral players on both sides. 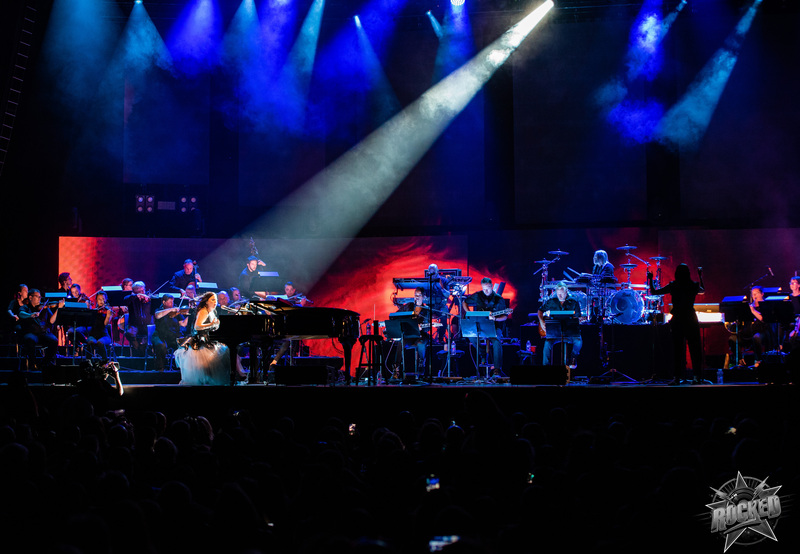 It became more elaborate as the performance went on, even including an on stage costume change behind tombstones (yes, I typed that correctly). 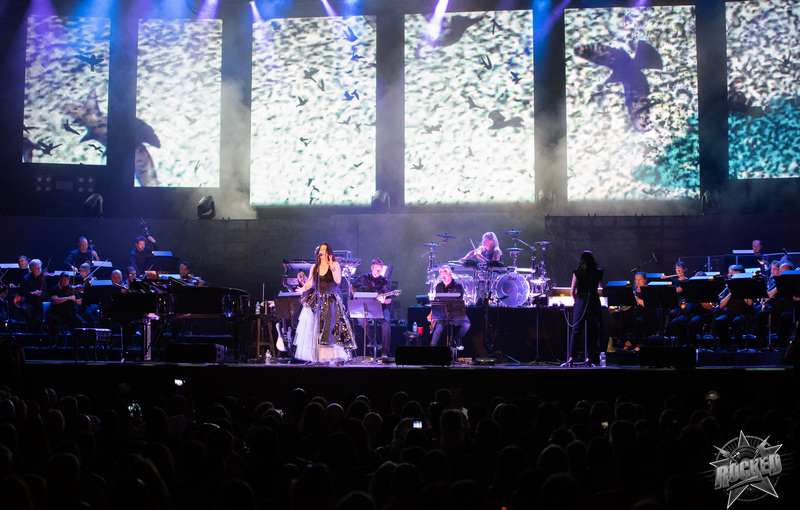 The first set of photos below are of Lindsey’s performance. 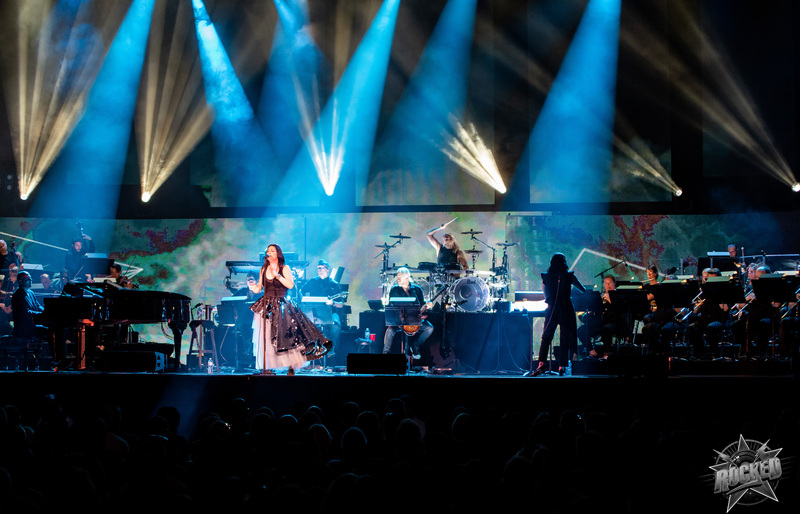 Click on any photo below to open the gallery and scroll below the photos to continue reading and for Stirling’s music video “First Light”. 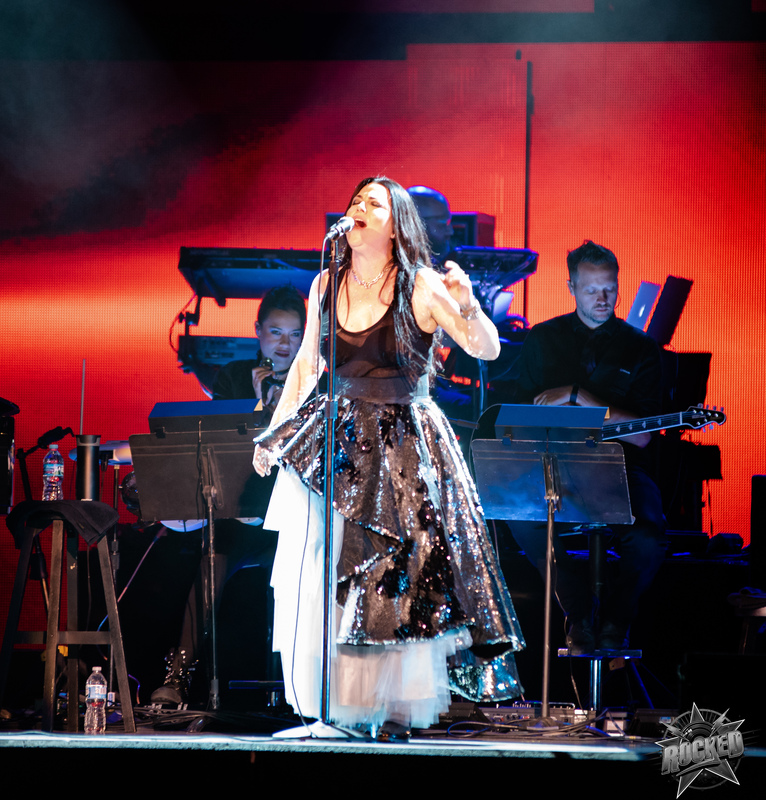 After a set change and even more musicians took to their orchestral (at least 25 by my count), we were presented with Evanescence slowly setting up. 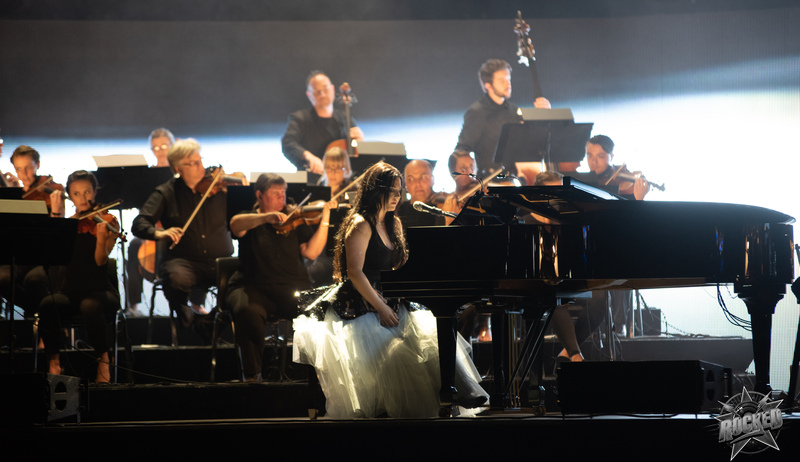 Amy Lee sat at the piano and opened the evening that would lead to amazing re-imagined performances of Evanescence’s biggest songs. Saying this was a unique concert is an understatement. Having thousands of people sitting and watching video boards of birds flying while the band played is something I will not forget anytime soon. 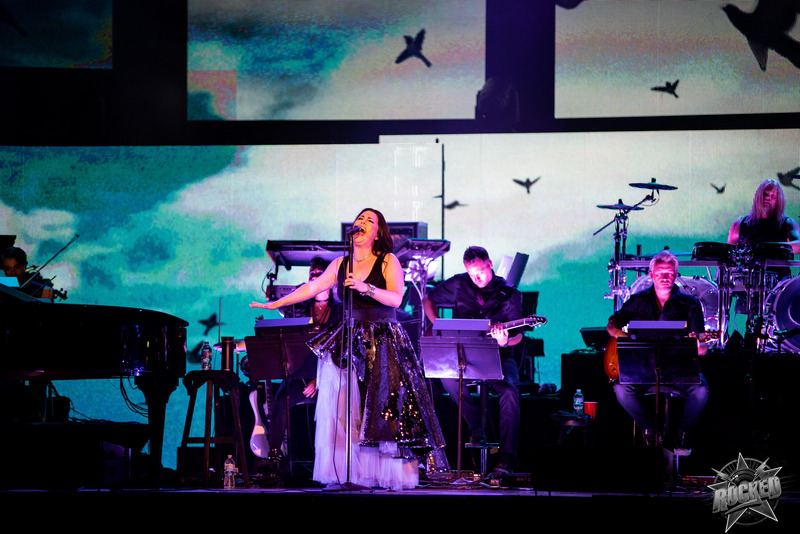 The edge and anger of Evanescence’s style was changed to something soothing and much of it was seamless. 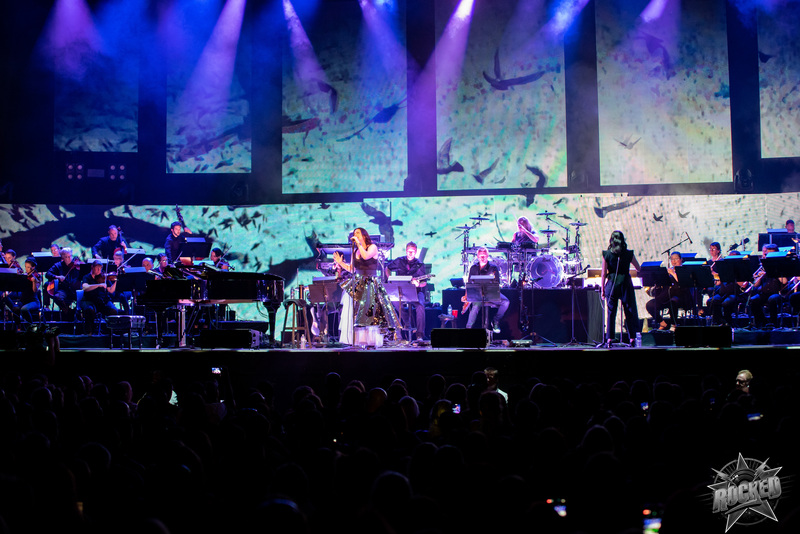 The tour is still going and tickets are available online through LiveNation. 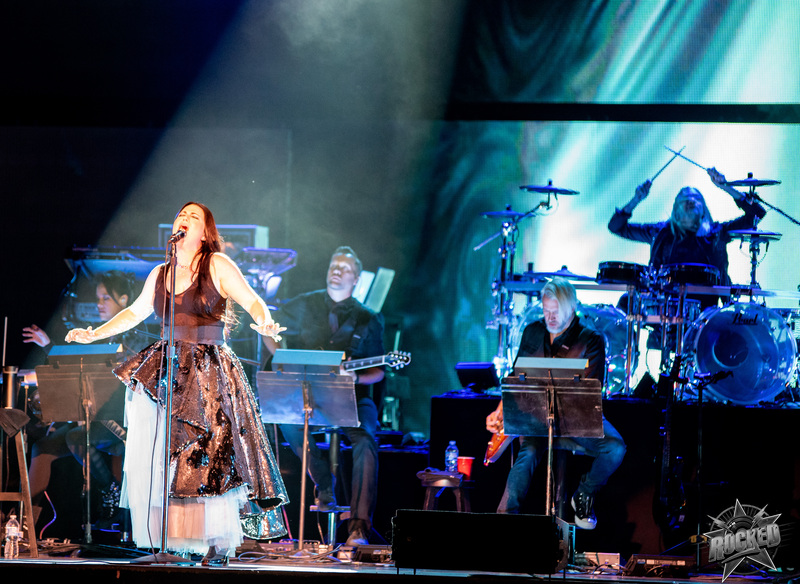 You can find tour info on Evanescence’s Facebook page. 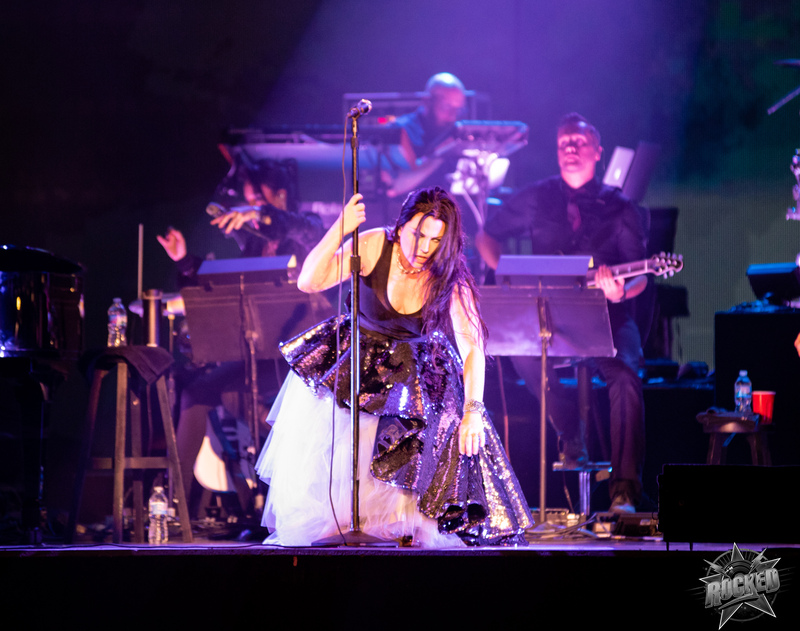 Click on any photo below to open the gallery of Evanescence’s performance and scroll below to watch the music video for “Hi-Lo” live.